This is a very important topic that is quite well hidden in the mainstream surf industry: glassing schedules. 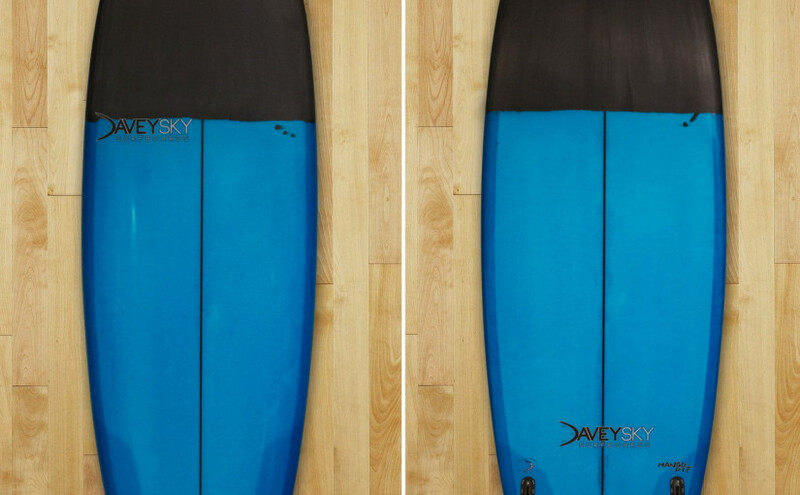 The glassing schedule is the layup of fiberglass cloth that a surfboard has which forms the “skin” around the foam core, providing a combination of strength, durability, flex, and waterproofing. The glassing schedule consists of two things: (1) the number of layers of fiberglass cloth on both the deck and the bottom of the board, and (2) the weights of each layer of fiberglass cloth. The glassing schedule defines the overall weight, strength and flex of your surfboard, as well as the weight, strength and flex distribution. For the purposes of this blog post, I’ll be focusing primarily on the weight and strength aspects – I’ll tackle flex in a different post. So if you were to poll a group of surfers to describe the perfect surfboard, they would probably all say “super lightweight and super strong!”. The truth is that there’s really not quite any such thing (at least without breaking the bank) – the lighter weight you want your board to be, the less inherent strength it’s going to have. The stronger you want your board to be, the heavier it’s going to be. There’s always a trade-off. However, the good news is that there are a lot of opinions and compromises that fit the bill for any surfer. I’ll be talking about standard glassing schedules for shortboards, which consists of 2 layers of fiberglass cloth on the deck and 1 layer of fiberglass cloth on the bottom. The deck gets 2 layers because it has to deal with the normal pressures and impacts of your feet and body, whereas (ideally) the bottom is only dealing with water. Comp Glass 4+4/4: This is a typical “competition” lightweight performance glassing schedule. It refers to two layers of 4 oz. fiberglass cloth on the deck (4+4) and one layer of 4 oz. fiberglass cloth on the bottom (/4). It’s as light as we recommend going – there are lighter options, but they result in a significant reduction in strength. 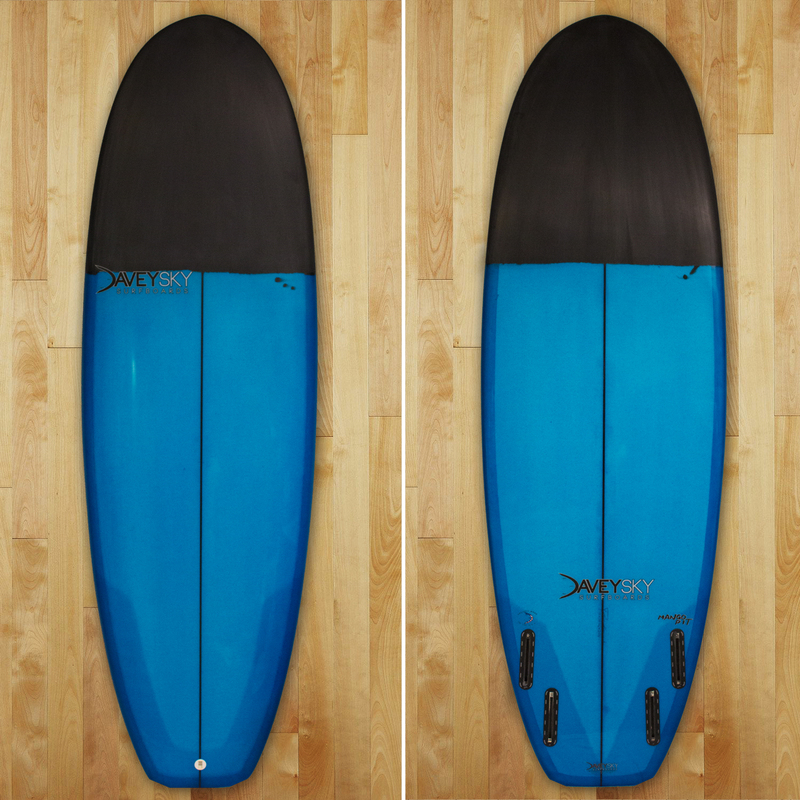 We want your board to last, so this is typically the lightest glassing schedule we recommend. If you know you like your boards nice and lightweight and/or aren’t heavy on your boards, this is the most popular shortboard glassing schedule world wide. When you walk into any surf shop, pretty much all the big brand names have this general glassing schedule (or lighter versions of it). Our quality is superior and this is certainly a strong enough glassing schedule to get the job done for most surfers in most conditions. Comp+ Glass 4+4/6: This is a step up from the typical competition performance glassing schedule. It refers to two layers of 4 oz. fiberglass cloth on the deck (4+4) and one layer of 6 oz. fiberglass cloth on the bottom (/6). By replacing the bottom layer of 4 oz. with a layer of 6 oz., you get an increase in strength on the bottom (read: bottom impact and buckle strength increase) of the board as well as the rails. While glassing schedules aren’t typically though about this way, it’s the most well balanced glassing schedule as far as the top-to-bottom weight ratio: for every square yard, it’s 8 oz on the deck to 6 oz on the bottom; a 4:3 weight ratio. Though it’s not necessarily something easily noticed by the average surfer, it’s the most well balanced weight ratio. Physics says that’s a good thing for performance, consistency and predictability. If you want some added strength, still want a relatively lightweight board and tend not to be too hard on the decks of your boards, this could be a great choice for you. Dura Glass 6+4/6: This is a durable (get it??) glassing schedule while saving a little weight. It refers to one layer of of 6 oz. fiberglass cloth and one layer of 4 oz. fiberglass cloth on the deck (6+4) and one layer of 6 oz. fiberglass cloth on the bottom (/6). By replacing the bottom layer of 4 oz. with a layer of 6 oz. AND one of the deck layers of 4 oz. with 6 oz., you get an increase in strength on the bottom, the deck and the rails. By keeping one of the layers of the deck 4 oz., you save a bit of weight there. If you want a very durable board and/or tend to be hard on your boards, don’t mind some extra weight but want to save a little bit of weight, this is a great option. This is also a great option for midlengths and even ultralight weight performance longboards. Power Glass 6+6/6: This is the strongest standard glassing schedule available. It refers to two layers of of 6 oz. fiberglass cloth deck (6+6) and one layer of 6 oz. fiberglass cloth on the bottom (/6). It is inherently the heaviest, but also the strongest and most durable. Team Glass 4S+4E/4S: All of the above glassing schedules use what’s called E-weave glass. This glassing schedule uses a combination os E-weave glass and an impact glass called S-glass. S-glass is about 20% stronger than it’s E-weave counterpart, but the same exact weight. So our Team Glass schedule is the same exact weight as our Comp Glass schedule, but stronger. Not as strong as the Dura or Power Glass schedules, but a good notch stronger than the regular Comp Glass. It’s an alternative way to get more strength and durability while keeping weight down. It’s a bit more expensive due to the higher cost of S-glass. Doing all 3 layers of 4S glass is also possible. So how big of a weight difference are we talking about here? Well it depends on the size, shape, dimensions and construction of the board, but for shortboards from Comp Glass to Power Glass, it can be the difference of ~1 to 2+ pounds. So, for easiness, roughly a 20% weight increase. So those are the general characteristics of standard surfboard glassing schedules. There are other types of glass as well, such as volan, but they’re usually used more for longboards or unique glassing schedules. The glassing schedule is the major determiner of the strength vs weight along with whether your board is poly or epoxy construction, which you can read about in our previous blog post here. Thanks again for reading! Next up will be a new Board Breakdown of one of my summer series boards….stay tuned!